One of the images that inspire us is this, which we have as a poster on our office wall. 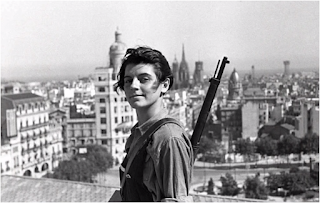 Marina Ginesta, an AntiFascist Writer / Journalist / Fighter, photographed in Barcelona in 1936. She was 17 at the time, lived to the age of 94.